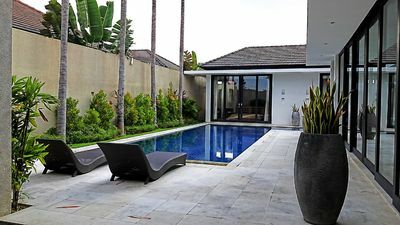 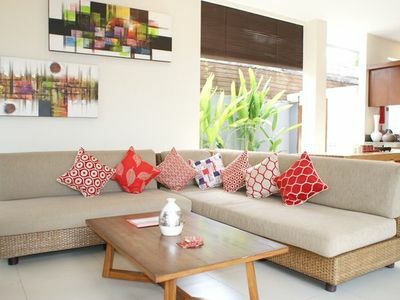 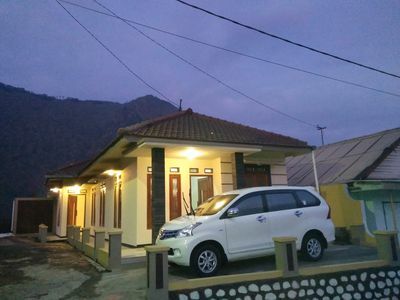 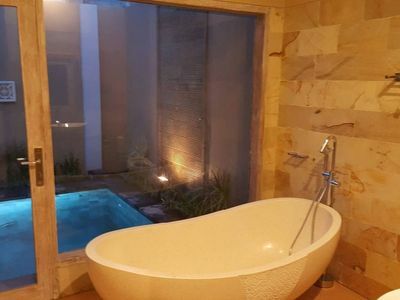 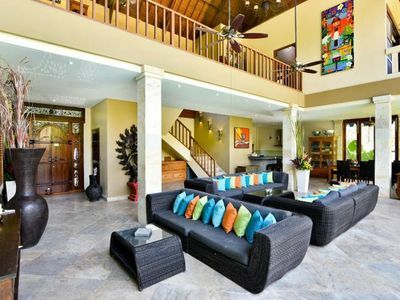 Contemporary luxurious 3 bedroom villa with private L shape swimming pool and Jacuzzi located minutes away by car from Kerobokan famous furniture design road and Petitenget / Batu Belig foody fanatics street. 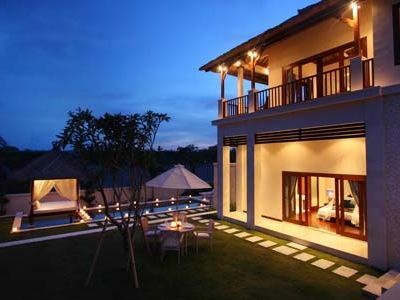 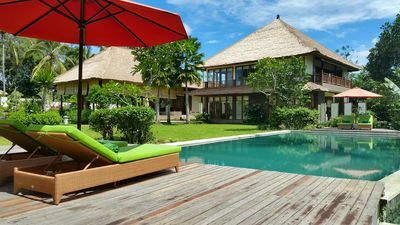 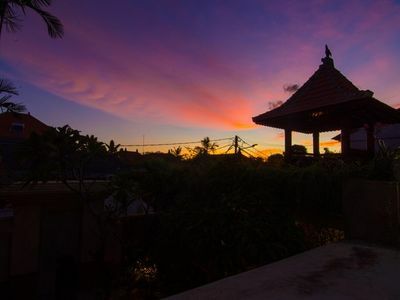 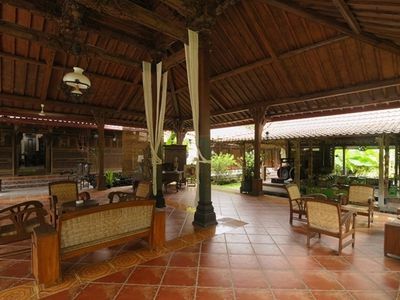 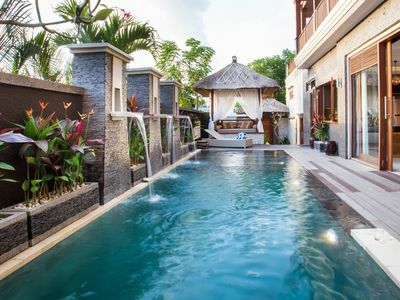 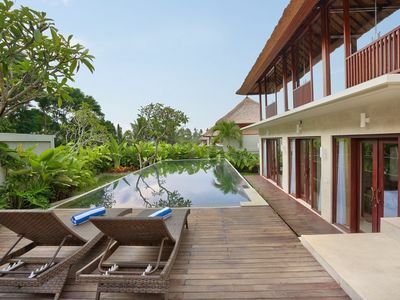 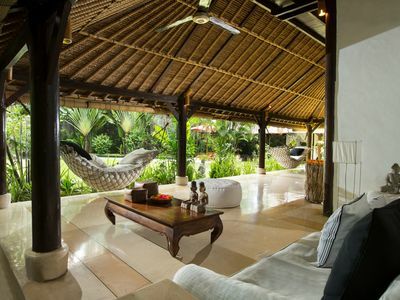 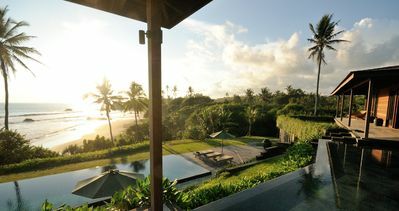 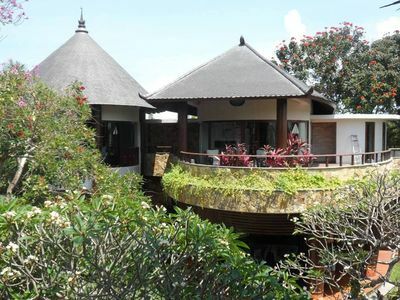 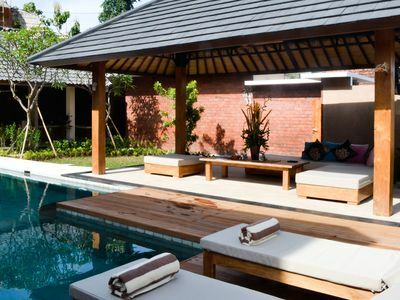 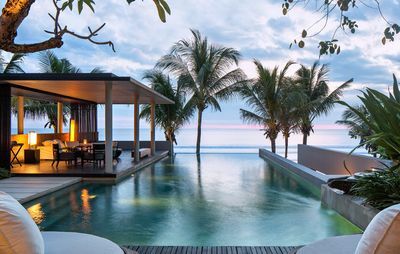 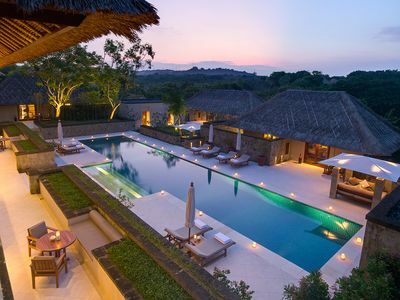 Immerse in a compound of 9 villas with private security, you will be able to truly experience the Balinese way of life in a hip, chic and minimalist surrounding. 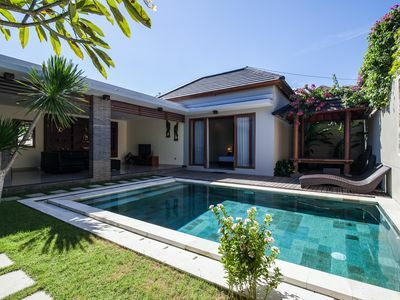 The 3 bedrooms with en-suite bathrooms as well as the lounge and dining area have gorgeous views and direct access to the pool….perfect for a morning wake up swim!